Dumpster 6 yd. 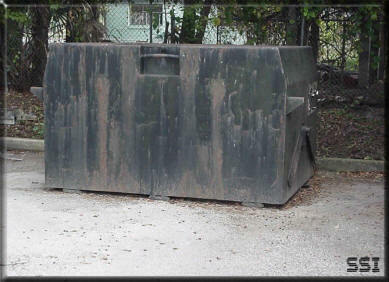 - Scrap Systems, Inc.
6 Cubic Yard Dumpster Containers - Our most popular size dumpster container. Primarily for steel scrap but also can be used for aluminum and copper. Locking containers are also available for this size. Dumpster containers are ideal for commercial customers who generate smaller amounts of scrap metal or have limited space available.